People find moving house more stressful than having children, changing jobs and getting married, according to a Which? survey. As part of the 2015 Which? national property survey, we asked 1,990 recent home-movers to rate how stressful they found a number of life events, including buying and selling their home. Seven out of ten (70%) respondents said selling their house was stressful, and 69% said the same about buying a house. Arranging care for an elderly relative (68%), having a child (53%), changing jobs (49%) and getting married (40%) were all voted as being less stressful than buying or selling property. 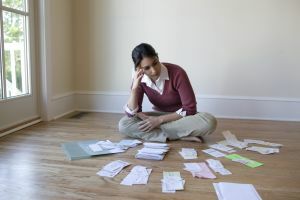 Applying for a mortgage can be a major source of stress when moving house. Which? Mortgage Advisers will not only search every available deal on the market to find the best mortgage for your personal circumstances, but they’ll also help manage the application process to make life a little bit easier for you. Call 0808 252 7987 for a free initial consultation. Divorce was rated as the most stressful of the 10 life events featured in our survey, with 78% of respondents saying it was stressful. Selling a home ranked as the second-most stressful event, followed by arranging elderly care for a relative and buying a house. Women were significantly more likely than men to find moving house stressful (75% of women vs. 66% of men for selling, 73% of women vs. 67% of men for buying). *We asked people to rate each life event on a scale of one to 10 for how stressful they felt it was, where one is not at all stressful and 10 is extremely stressful. The figure shown is the percentage of people who rated the event as seven out of 10 or higher. Respondents only rated the events they had personally experienced. We often ask people working in property, from estate agents and buying agents to solicitors and mortgage advisers, for their tips on how to make moving house easier. One message is universal across the board: if you want to keep your stress levels as low as possible, you should choose your service providers based on quality, rather than price. Hiring efficient, highly recommended professionals will minimise unnecessary delays, help you achieve the best selling price from the best buyer, and make the home-moving process as smooth as possible. Agents in particular also recommend choosing the most reliable buyer, even if their offer is slightly lower than the highest one you receive, if you’re after a quick and stress-free sale. Your estate agent should vet potential buyers as part of the offer process. For more tips on how to choose estate agents and conveyancers, as well as how to accurately vet buyers, see our selling a house: stress-busters guide.